Vivian Bullwinkel was born in 1915 in Kapunda South Australia where her father worked for a mining company. Qualifying as a nurse in 1938 she began her career at a hospital in Melbourne. In early 1941 she, and a friend Wilma Oram, decided to volunteer for the Australian Army Nursing Service. They were sent to Malaya to join the 13th Australian General Hospital. After a few weeks in Malacca the hospital was established in Johore Bahru, but when the Japanese invaded in December 1941 and began their advance southwards the hospital was relocated in Singapore. The situation rapidly worsened and on 8 February as air raids intensified all nurses were ordered to be evacuated. So on 12 February 65 nurses led by their Matron Irene Drummond scrambled aboard the S.S. Vyner Brooke, probably the last ship to escape the burning city. 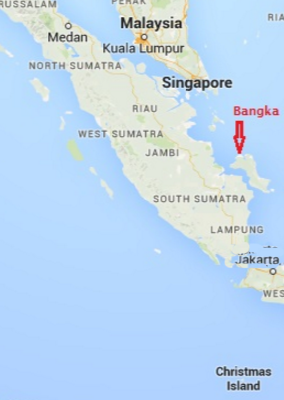 When the ship was bombed and sunk off the Sumatran coast 2 days later (see previous article) some of the nurses managed to scramble into lifeboats and reach a nearby beach on Banka Island. Some 22 of the nurses, including Vivian Bullwinkel and the Matron survived alongside some 60 others including some of the crew, a few soldiers and various other women and children. Later a second lifeboat drifted ashore carrying a few British soldiers. As she drank some water and attempted to wash her wounds she was startled to hear an English voice say “Where have you been nurse?” It was, amazingly, a badly wounded English soldier Private Pat Kingsley, who despite being shot and bayoneted had somehow survived the earlier massacre. For 12 days they remained hidden in the jungle close to the beach surviving on a little food from local villagers. This obviously could not continue and since escape was impossible they decided to surrender. They were brought to a camp in Muntok and re-united with the 31 civilians and children who had surrendered earlier and knew nothing of the massacre. Pte Kingsley died two days later so Vivian Bullwinkel remained as the only eyewitness of the atrocity. 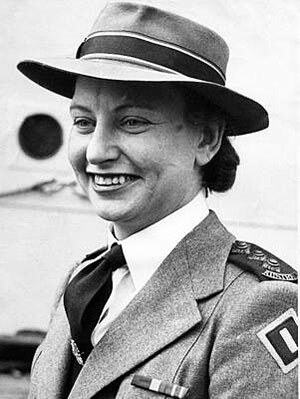 Only on her return to Australia in September 1945 was Nurse Bullwinkel able to tell her story. She was hailed as a heroine in Australia. She continued her nursing career eventually becoming President of the College of Nursing. She and a colleague Betty Jeffrey raised £240,000 to build a Nurses Memorial Centre in Melbourne in memory of all Australian nurses killed in the war. In 1977 she married Col Frank Statham and 50 years after the massacre, in 1992 she returned to Banka Island for the unveiling of a memorial erected by the Australian government. It commemorates 41 nurses who had been on the Vyner Brooke, 21 massacred on the beach, 12 drowned when the ship sank and 8 who died later as prisoners. Vivian herself died on July 3 2000. The Japanese lieutenant responsible for the massacre never appeared before a War Crimes Tribunal as he was killed in action later in the war.